In stock. Order in the next 17 hours, 6 minutes and it will go out today! 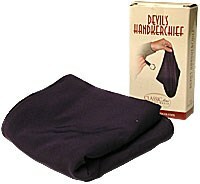 Comes with one 17.5-inch dark blue hankerchief and instructions.